People who attend our seminars learn a wealth of knowledge regarding traditional log versus Timber Block, including many questions the traditional log companies can't answer. Timber Block's management and team members will hold three free seminars to educate consumers on the benefits of an energy efficient log home and its ease of installation. Consumers at the last series of seminars expressed gratitude for the educational seminar which provided clarity on the home building process relating to log homes or energy efficient system built homes. Timber Block, the Revolutionary R-30 Insulated Panelized home is quickly gaining awareness, thanks to its special attention to energy efficiency, green building, and quick and efficient installation. On July 21, 22 and 24, two members of Timber Block’s management team will conduct three free seminars which will inform participants on the benefits of system building, energy efficiency and Timber Block’s patented product and process. The goal of the seminar is to educate the attendee on all aspects of the home buying process. Whether you are buying a log home or a highly efficient energy rated home, it is very important to become educated as there are many new programs or existing programs which can give the home buyer savings in form of credits, tax savings or lower cost of total home ownership. The other goal of the seminar is to show attendees the benefit of a Timber Block insulated log home versus a traditional log home package. Topics will include: Building in Hours versus Months, Factory Finish versus On Site Finish, No Logs on Dirt and many more. Because of Timber Block’s high demand of requests for more information on a Timber Block insulated log home or energy efficient home, they are holding 3 seminars in Pennsylvania, and Maryland to provide attendees with further information. Seminars will be held July 19 in Allentown, PA, July 20 in Harrisburg, PA, and July 21 in Rockville, MD. Please visit http://www.timberblock.com, or RSVP to info(at)timberblock(dot)com. Buddy's career in the log home industry began with a modular log home manufacturer, where he was instrumental in fueling the growth of this new company. His second stop was at Southland Log Homes, where he was recognized multiple times for his efforts with awards and accolades. Now with Timber Block as a Territory Manager, Buddy brings the experience and knowledge of modular construction and full log experience to share with consumers at the upcoming seminars. Here is what Buddy had to say... "I can't wait to share what I have learned about Timber Block with the folks that attend our upcoming seminars. I know the limitations of a full modular log home and I've seen first hand the hassles behind full log construction and home ownership. It doesn't surprise me that so many who attend our seminars, share my passion for Timber Block's revolutionary R-30 insulated log home system." Like Buddy, Joe has a deep history in logs with experience in the lumber industry and the log home industry. As a former owner of a business in the lumber industry, Joe's knowledge of wood and management made him a natural candidate for the log home industry. 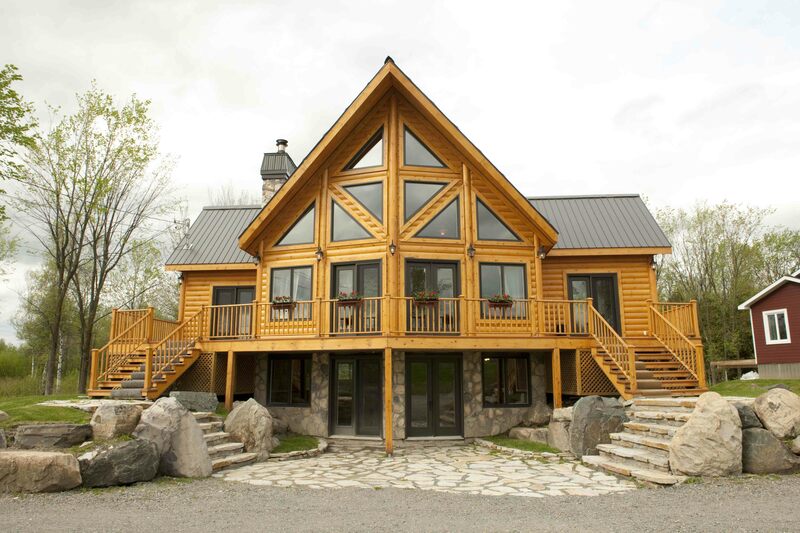 Beginning with Southland Log Homes as salesmen in the most successful corporate show home, Joe quickly moved into management overseeing the company's dealers. The slowdown in the economy and business lead to Joe's early retirement, but his retirement didn't last long. "When Timber Block called to see if I'd be interested in joining their team, the answer was an immediate yes. I knew that the traditional log home companies were struggling and many were closing. The industry needed real innovation to meet the needs of consumers, Timber Block answers these needs," according to Joe. "People who sit through our seminars learn a wealth of knowledge regarding traditional log versus Timber Block, including many questions the traditional log companies can't answer." Timber Block’s team of professionals offer a product unmatched in residential or commercial log and timber construction, which provides clients with state of the art , environmentally responsible technology combined with cost-effective building methods. Delivering stock or custom products, the team at Timber Block works within partnerships, maximizing the aesthetic and investment, to realize the dream of each unique project. Timber Block provides custom or stock insulated log homes utilizing a revolutionary R-30 insulated log, which is a proprietary and patented product. The "Dakota" in Timber Block's Classic SeriesThis Dakota is 1850 square feet, including the main floor and loft, with an additional walk in basement.